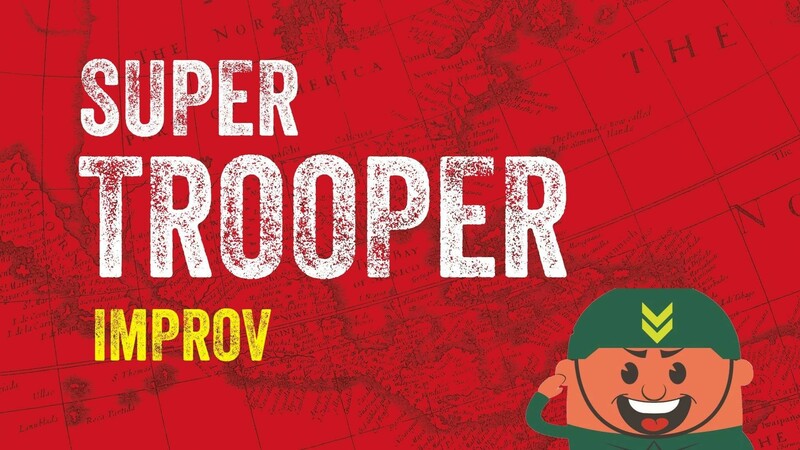 Join the guys & gals of Super Trooper Improv (STI) as they bring their monthly "gut bustingly funny" improvised comedy show to Box Leeds City! Doors open at 6.30pm with the show running from 7pm to 9pm. STI have had a monthly residency in Leeds city centre since June 2017. We perform a variety of comedy sketches and games entirely based on suggestions from the audience, similar to TV shows like Whose Line Is It Anyway. Because it’s entirely improvised, every show is different, but past sketches have seen a farmer’s sheepdog arguing with its owner while piloting a spitfire, a news report on the Thames being turned to custard and Michael Parkinson being outed as a Russian spy. The group has had headline bookings across Yorkshire (Leeds, Hull, Harrogate, Sheffield, Garforth etc), comedy festival bookings at the Discount Comedy Festival (Leeds), the Hull Comedy Festival and at Beverley Laughs (Beverley) as well as appearances in Manchester and Liverpool. We also run bi-monthly shows in Bradford. "STI are one of Leeds premier improv troops. Their members are witty and engaging and provide a ton of laughs" - Jay Johnson, The Pit Comedy Club promoter. “STI are new on the Improv scene, but I’ve seen a shedload of their shows, and they’re always really inventive, wonderfully funny, and not afraid to innovate.” – Comedian Paul “Silky” White. “First time I have seen this group perform, totally fab evening and if you get the chance to see these peeps do not miss it." "Fantastic show at The Pit in Leeds this evening. Loved every second of it." Advance tickets are just £4 . On the door tickets will be £5. Line ups can be subject to change without notice. Comedian's material may contain bad language and controversial topics. Discounted online ticket which guarantees admission. There may be LIMITED on the door tickets available for £5. No paper tickets will be issued for this event. Bring along your confirmation email. NB: A small transaction fee of 10% is added to each ticket sale.